Is Farina the 'Benitez' option at Sydney FC? Frank Farina, the former golden boy of Australian football, yesterday became the new head coach of Sydney FC. After three years in the wilderness since being sacked by Brisbane Roar for drink driving, Farina makes his return to the most difficult coaching job in the country. Farina becomes the seventh coach at Sydney FC, taking a Sky Blues side that are anchored to the bottom of the table and in their worst vein of form in years. 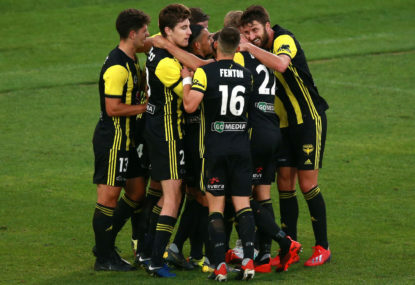 Hiring an Australian coach who understands the A-League – despite the apparent shortages in the local market – was always likely at this point in the season. However, after being only offered a deal until the end of the season, the pressure on Farina to get Sydney FC performing is enormous. If he fails to kick start Sydney’s season, it seems highly unlikely that the board will extend his contract. 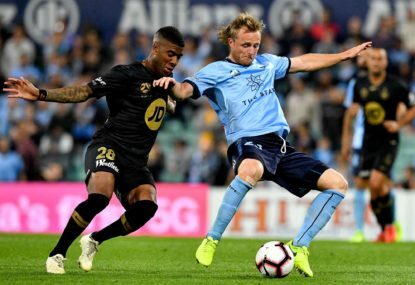 With Alessandro Del Piero in the squad for this season and the next, there is little time for Sydney to dither or rebuild. To reap an adequate reward for their investment, the board needs success fast. It is difficult not to compare Farina’s task with Rafael Benitez’s at Chelsea. Both have replaced coaches that are highly popular with fans, and both are expected to get quick results with a squad that isn’t of their own making. Don’t be surprised if Farina and Benitez are both just stop-gaps for the rest of the season. In many ways, Frank Farina could be on a hiding to nothing. There is no question that Farina is an experienced Australian coach. After relatively successful stints with the Brisbane Strikers and Marconi-Fairfield, Farina was thrown into the deep end early with the Socceroos, taking the job in 1999 after Terry Venables. Like Graham Arnold, Farina took over the Socceroos long before he was ready for the job. Both did the governing body a favour, perhaps to the detriment of their long-term development as coaches. Indeed, Farina has the somewhat ignominious record of being replaced by coaches who went on to have magnificent results after him. Guus Hiddink added discipline and style to the Socceroos, and tightened their leaky defence. Similarly, when Ange Postecoglou took over at Brisbane Roar, Farina’s ‘mates’ were eschewed for a younger, fresher and more disciplined squad. Both the Socceroos and the Roar, unfortunately for Farina, looked and played far better after he’d departed the scene. Whether or not this was simply a cruel coincidence is difficult to say. Yet one of the common threads between Hiddink and Postecoglou was that they managed to get the best out of their younger players, while disciplining or forcing out older established players. 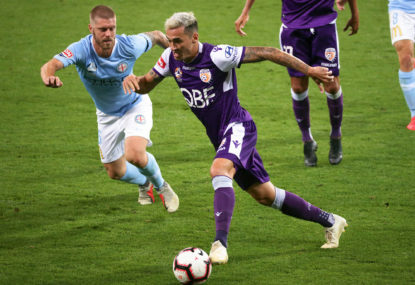 Hiddink regularly benched Harry Kewell and Tim Cahill, while fast-tracking fringe players Jason Culina and Luke Wilkshire into the starting eleven. Similarly, Postecoglou turned Luke DeVere and Matt McKay into high-quality perfformers at the expense of veterans Charlie Miller and Craig Moore. With this in mind, is Farina the appropriate man for the job at Sydney? There will remain questions over Farina’s ability to control Sydney’s senior players while promoting the club’s considerable young talent. Young players like Seb Ryall, Dimitri Petratos, Rhyan Grant, Mitch Malia, Hagi Gligor and particularly Terry Antonis all have the ability to perform at the top level, given the right opportunity and guidance. Fixing Sydney’s leaky defence, however, will be priority number one for Frank Farina. Its true that everybody deserves a second chance. 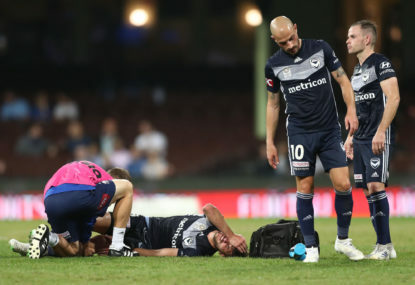 With renaissance man John Kosmina in career-best form at Adelaide, this might be the chance Farina needs to rejuvenate his own career. However, being thrown into the spotlight in the most volatile coaching position in the competition is hardly the ideal place for redemption. Good luck to him. Let’s hope that his exile from the local game has given him the time and space to develop and learn his craft. 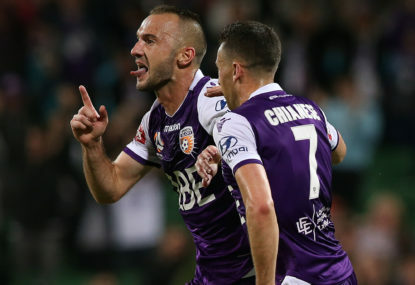 The tactical standard of the A-League has risen considerably since 2009. Fans now expect their team to win with style. Will Frank Farina, the blast from the past, be able to catch up?